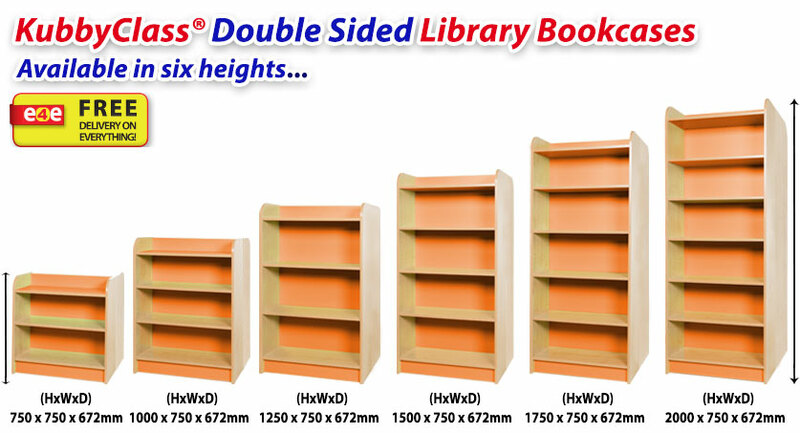  A super strength bookcase measuring 750mm wide, manufactured in 6 heights and 7 colour themes. 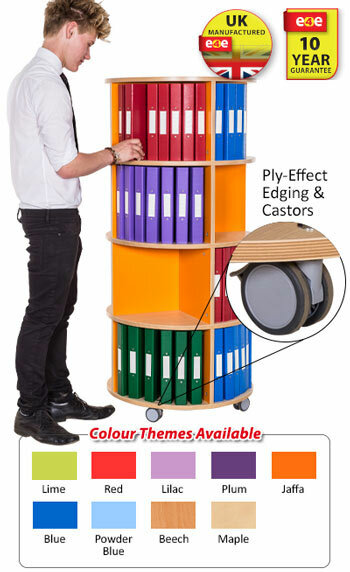  All have adjustable shelving to position where required and the KubbyClass® safety shelf fitted as standard.  Available in 6 heights: 750, 1000, 1250, 1500, 1750 and 2000mm. All are 750mm wide and 350mm deep. 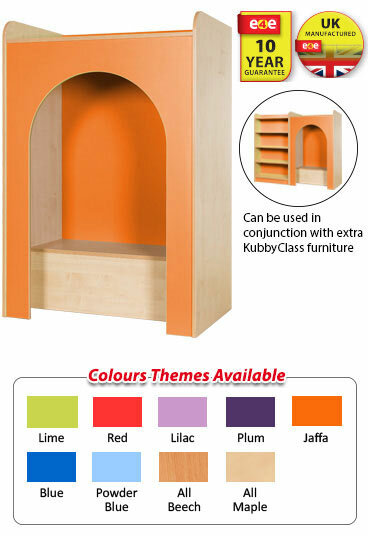  Available as standard in maple with a choice of 7 colour themes: lime, red, lilac, plum, jaffa, blue and powder blue. 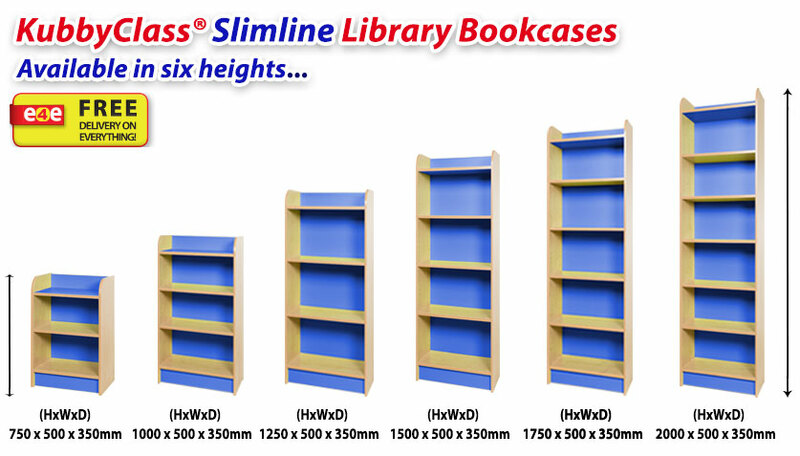  Slimline bookcases are slightly narrower, at 500mm than the standard sized bookcases. 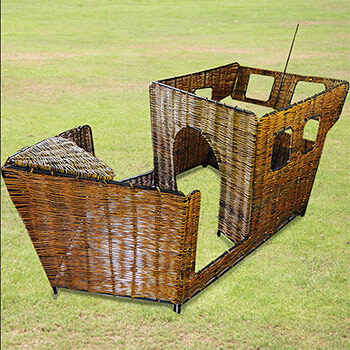  These are ideal for use where space is limited.  Solidly constructed, all have adjustable shelving to position where required and have the trademark safety shelf that KubbyClass® is renowned for.  Available in 6 heights: 750, 1000, 1250, 1500, 1750 and 2000mm. All are 500mm wide and 350mm deep. 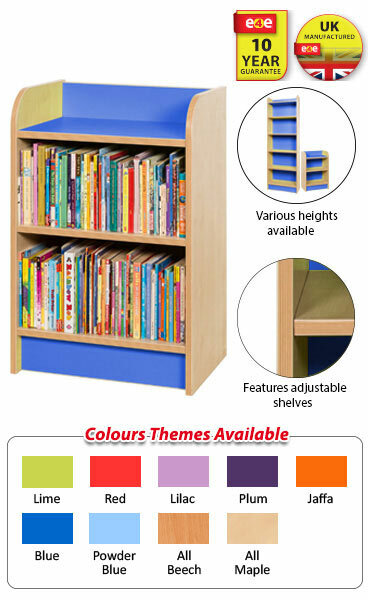  These really are a high capacity bookcase as both sides have fully adjustable safety shelving. 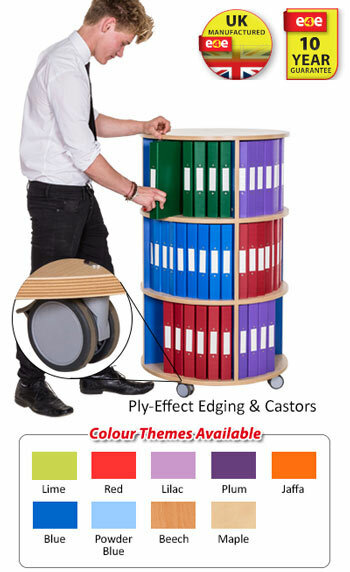  Great for creating a divider in the library.  Twice the capacity of the single sided units but certainly not twice the price. 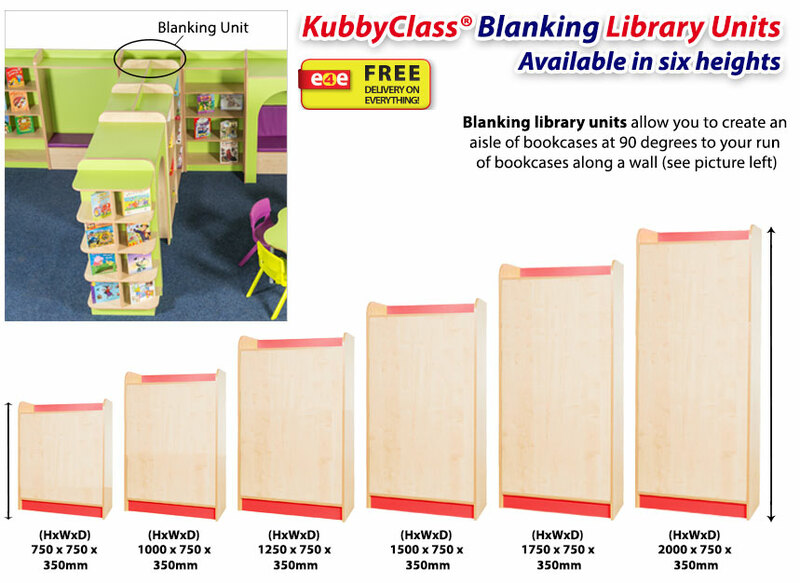  Can be used in conjuction with KubbyClass® D-end Cap Bookcases, KubbyClass® Library Archway & KubbyClass® Single Blanking Units.  Available in 6 heights: 750, 1000, 1250, 1500, 1750 and 2000mm. All are 750mm wide and 672mm deep. 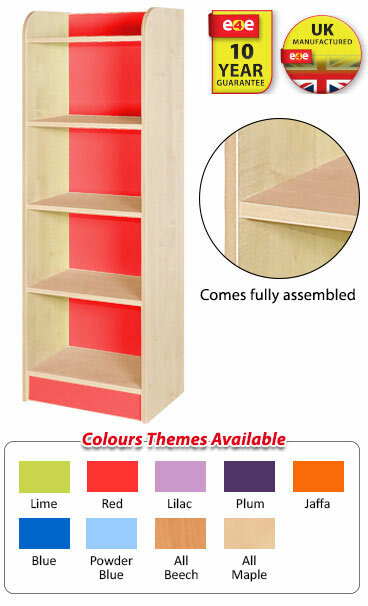  Features adjustable shelving with hidden grooves to stop the shelves being pulled directly out. The shelves have to be lifted and then pulled forward to remove. 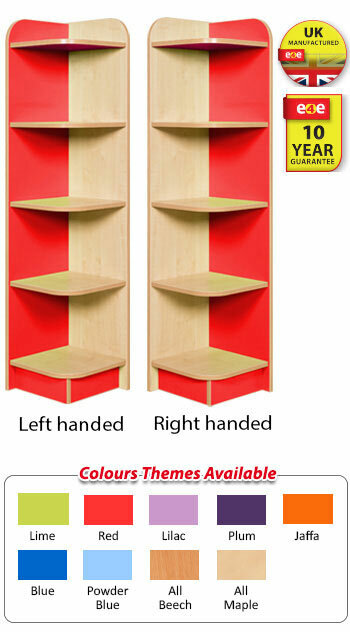  These are suitable for all of the KubbyClass® single sided bookcases and are available in left handed and right handed versions.  The coloured panel is on the back wall to match the bookcases.  Available in 6 heights: 750, 1000, 1250, 1500, 1750 and 2000mm. All are 350mm wide and 350mm deep.  Available in a left handed or right handed style. 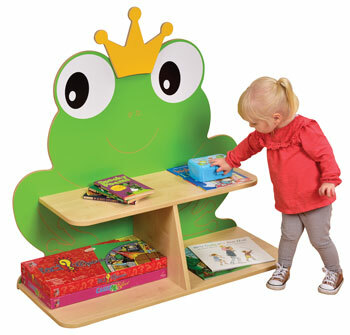  These units are used on the end of the KubbyClass® double sided bookcases and on the end of the reading arch.  They are an attractive and solidly built unit with curved fixed shelves. 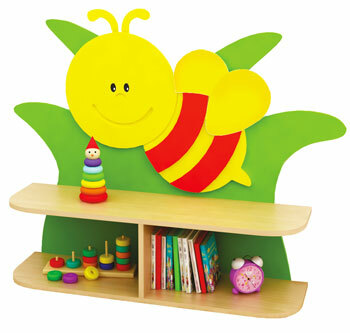  They also make a great freestanding feature unit on any wall. 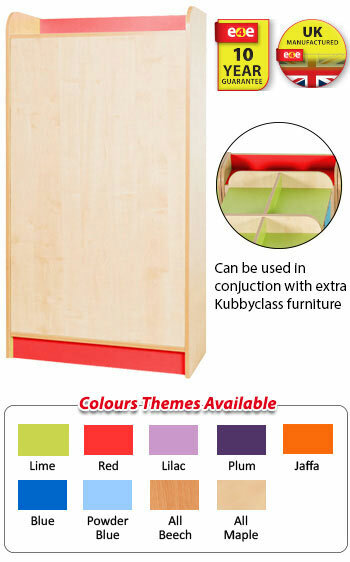  Can be used in conjuction with KubbyClass® Double Sided Library Bookcases.  Available in 6 heights: 750, 1000, 1250, 1500, 1750 and 2000mm. All are 672mm wide and 350mm deep. 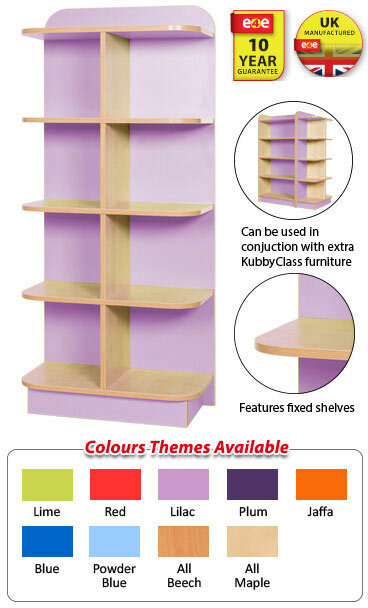  KubbyClass® Internal Corner Bookcases are brilliant for overcoming any empty spaces in your library. 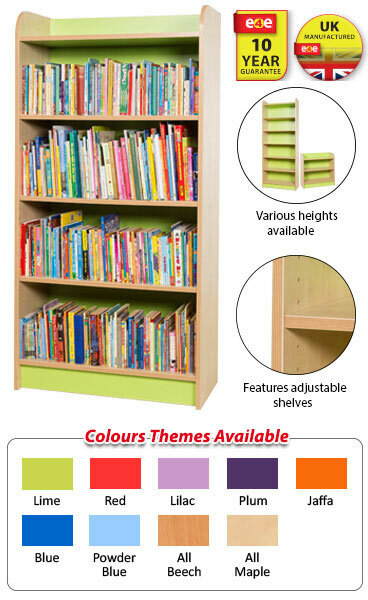  Now you can make a seamless run of bookcases that go around corners and maximise space.  An attractive unit recommended for every library. 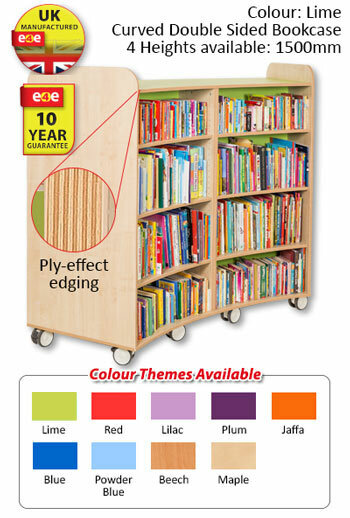  Used in conjunction with the single sided library bookcases.  Available in 6 heights: 750, 1000, 1250, 1500, 1750 and 2000mm. All are 600mm wide and 600mm deep.  Blanking units for adding into spaces when you wish to create an aisle of bookcases coming away from a straight line of units.  Available in 6 heights: 750, 1000, 1250, 1500, 1750 and 2000mm. All are 750 wide and 350mm deep. 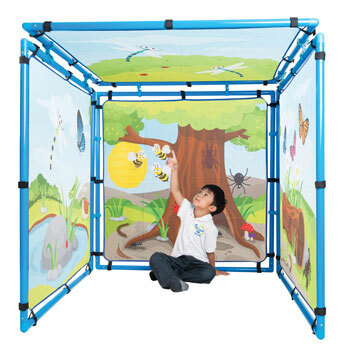  These open arches encourage children to explore specific learning areas whilst adding fun to any library.  Dimensions: (HxWxD) 1500 x 1000 x 676mm.  Ideally used for with a run of KubbyClass® Standard Width Library Bookcases (WBKCBC) or KubbyClass® Slimline Library Bookcases (WBKCSBC).  Creates a seating area along a wall & is the same depth as the KubbyClass® Standard Width Library Bookcases and KubbyClass® Slimline Library Bookcases.  Dimensions of library seat: (HxWxD) 1500 x 1000 x 350mm.  Upholstered pad for seating available in 5 colour themes: cerise, cream, scarlet, lemon and indigo.  Dimensions of seating pad: 960 x 326mm. 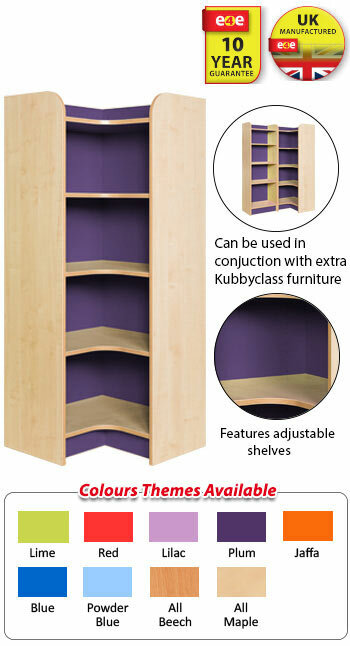  Ideally used for with a run of KubbyClass Standard Width Library Bookcases (WBKCBC) or KubbyClass Slimline Library Bookcases (WBKCSBC).  Creates a seating area along a wall & is the same depth as the KubbyClass Standard Width Library Bookcases and KubbyClass Slimline Library Bookcases.  Upholstered pads for seating and backing available in 5 colour themes: cerise, cream, scarlet, lemon and indigo.  Dimensions of seating and backing pads: 960 x 326mm.  The KubbyClass® Reading Nook creates an interesting and fun feature for your library. 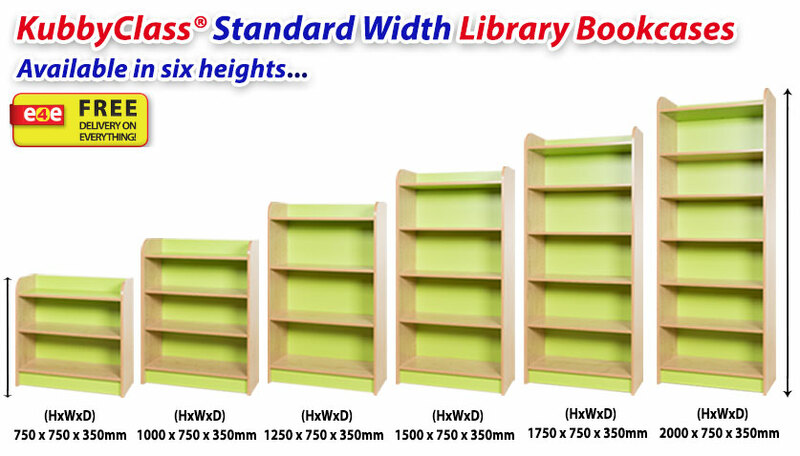  Can be used with the KubbyClass® Standard Width Library Bookcases and the KubbyClass® Slimline Library Bookcases.  Dimensions of nook: (HxWxD) 1500 x 1000 x 676mm. 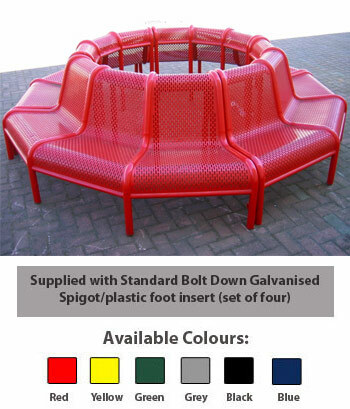  Dimensions of seating pad: 960 x 400mm.  Dimensions of backing pad: 960 x 400mm. 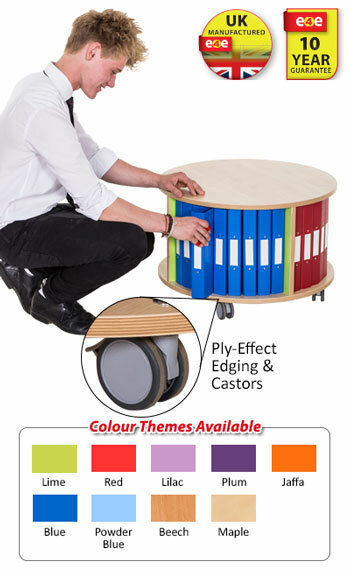  The KubbyClass® furniture range is the ultimate range of premium classroom & library furniture. 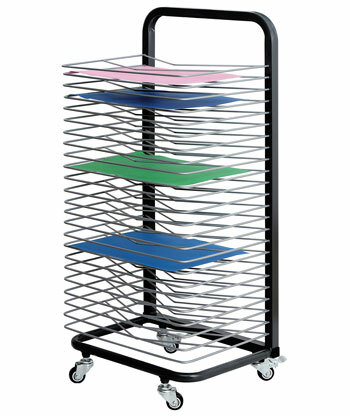  The majority of this bundle has adjustable shelving with hidden grooves to stop the shelves being pulled directly out. Shelves have to be lifted and then pulled forward to remove.  Designed and manufactured in the UK to extremly high quality standards, all units included in this bundle carry a 10 year guarantee. 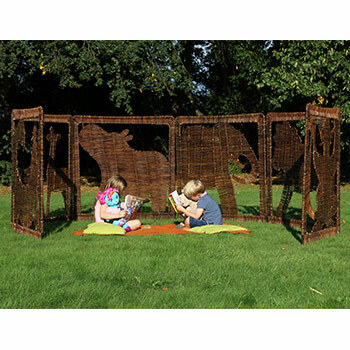  Buy this bundle and save £392.00 (bundle costs £4767.00 when units are purchased separately). 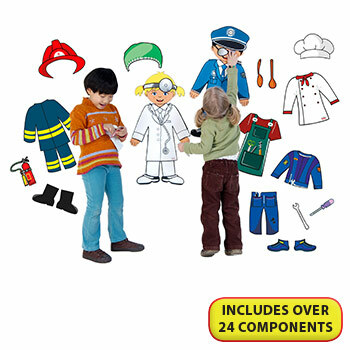  All units in this bundle are delivered fully assembled. 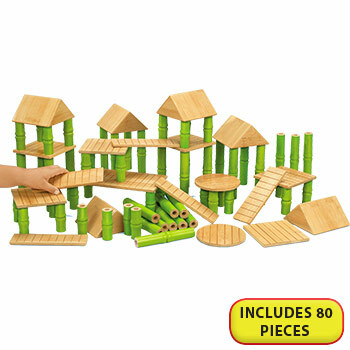  All of the units in this bundle are manufactured in a solid 18mm MDF maple finish with a 2mm bump resistant PVC plastic edge with a plywood finish. 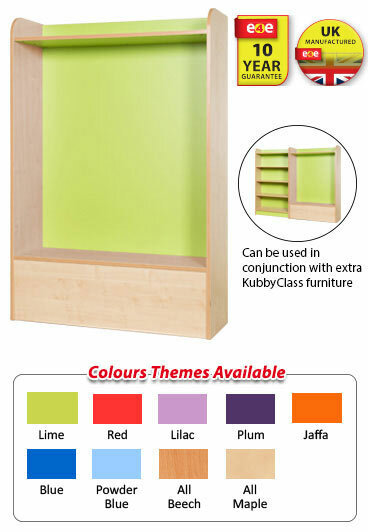  All of the units in this bundle are available as standard in maple with a choice of 7 colour themes: lime, red, lilac, plum, jaffa, blue and powder blue. 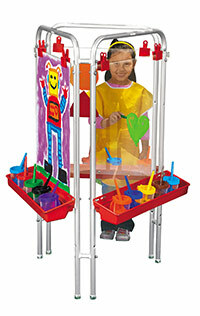  All units in this set are delivered fully assembled. 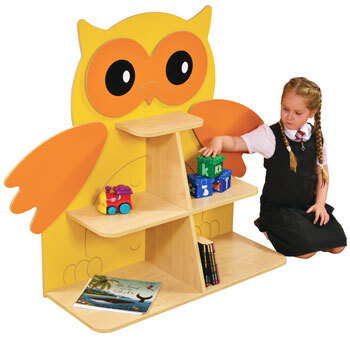 These KubbyClass® units really are a superb range of quality library furniture. Supplied on high quality smooth running dual wheel castors, four of the wheels feature locks to secure the unit if required. 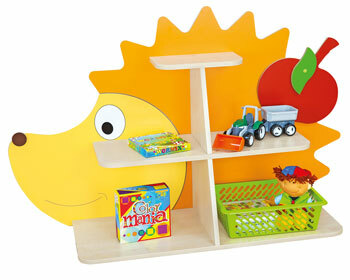 All units have adjustable shelving, making it easy to fix the height of each shelf to your requirments. 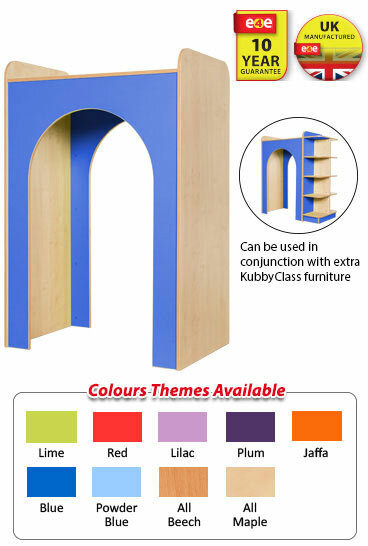 These KubbyClass library bookcases are available in 4 heights and 7 vibrant colours. Just choose your height and colour from the drop down menu below when ordering. 1500mm Height shown in images. 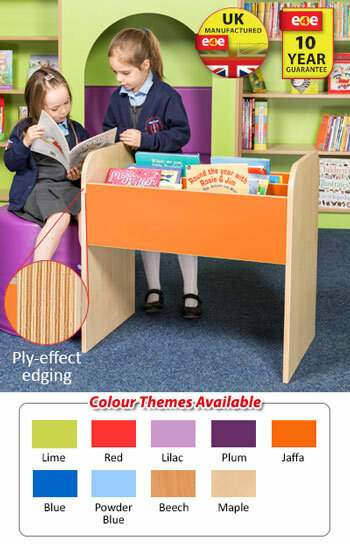  Manufactured in a solid 18mm MDF maple finish with a 2mm bump resistant PVC ply-effect finish edge.  Available in 4 heights: 750mm, 1000mm, 1250mm & 1500mm . All units are 1825mm wide and 676mm deep. 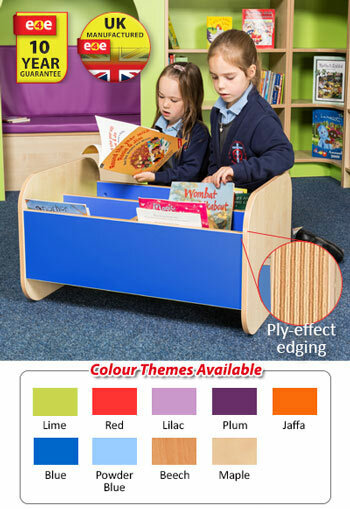 The KubbyClass library book staircase is manufactured in a solid 18mm MDF maple laminate, with a 2mm ply-effect bump resistant edging. 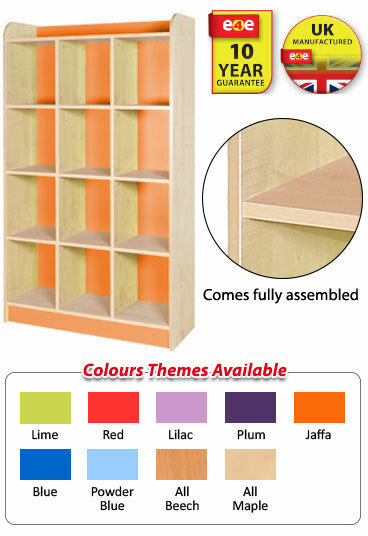 Available in 7 theme colours, also available in full beech or full maple throughout. 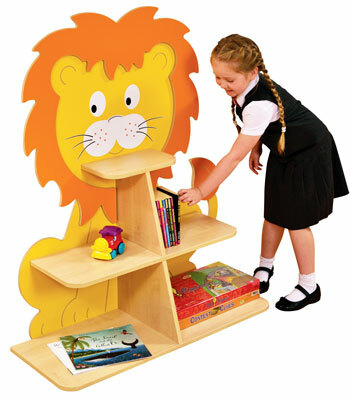 Four rounded shelves each side are ideal for displaying book titles, magazines and literature. Mounted onto quality lockable castors which aid in manouvering around when required.  Choice of 7 colours available - pick your colour required below. 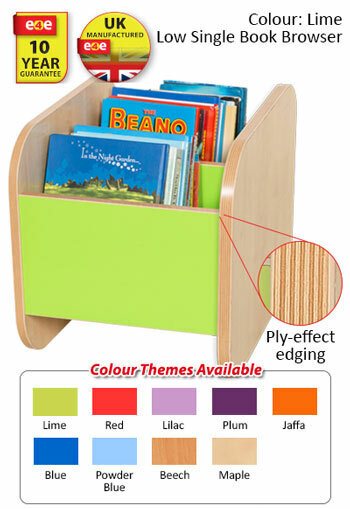 A great Book Browser box to fill up with books that allow children to explore for themselves which books they want to read. 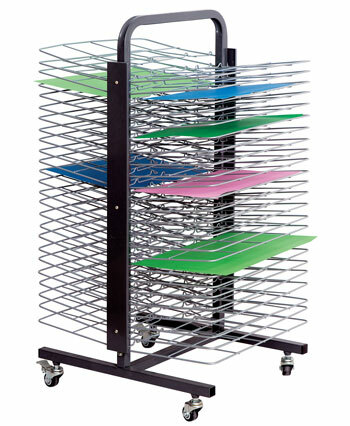 These units are solid and sturdy, and built to give years of service. 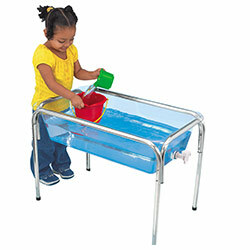 They would not look out of place in any classroom setting and can be utilised in many different areas. 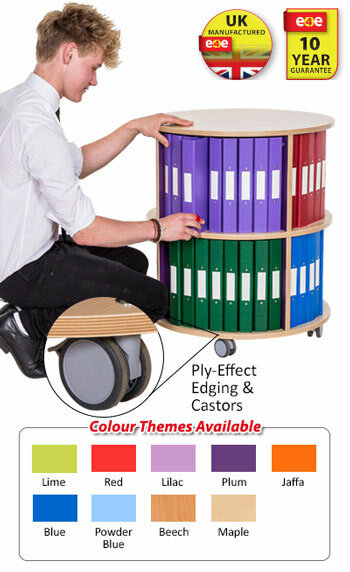 The Library book carousel is a stylish and attractive unit that is really versatile, with a variety of uses ranging from file storage, books or just use them as a display unit. 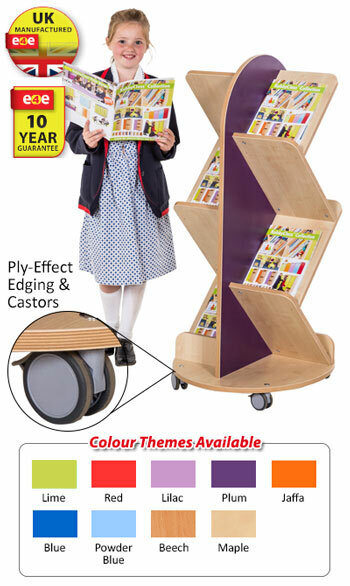 Featuring castors for easy manouvering when required. 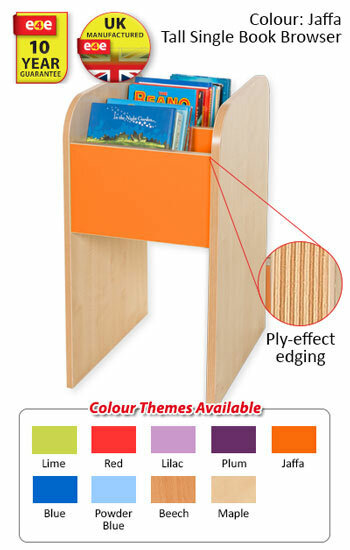 Manufactured in a solid 18mm MDF maple laminate with a 2mm ply-effect, bump resistant edge. 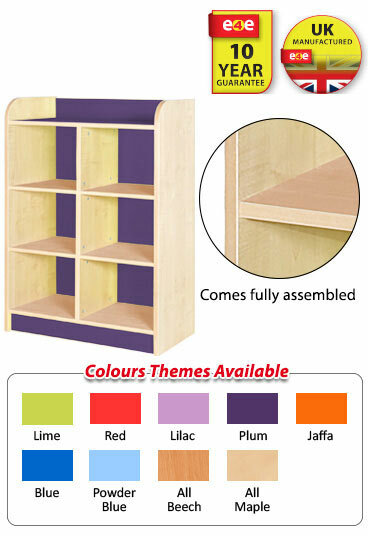 Available in seven colour themes, Lime, Red, Lilac, Plum, Jaffa, Blue, Powder Blue and even as Maple or Beech throughout. Any accessories shown within images are not included unless otherwise stated.  Any accessories shown within images are not included unless otherwise stated. 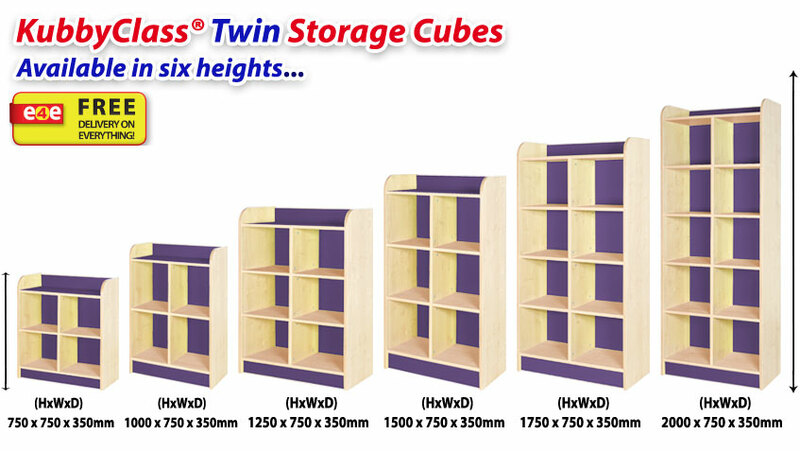  These attractive, stylish slimline cubes will compliment any setting & make fantastic storage for all types of applications. 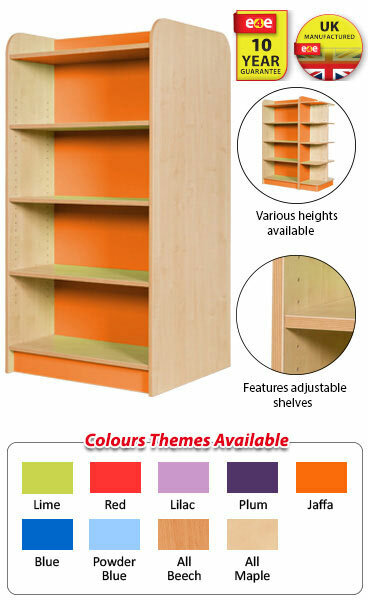  Available in 6 heights and 7 colour themes, these durable units are also built to last and come with a 10 year guarantee. 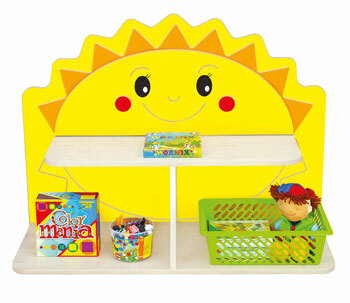  These units are perfect for the classroom, libraries or for general storage. 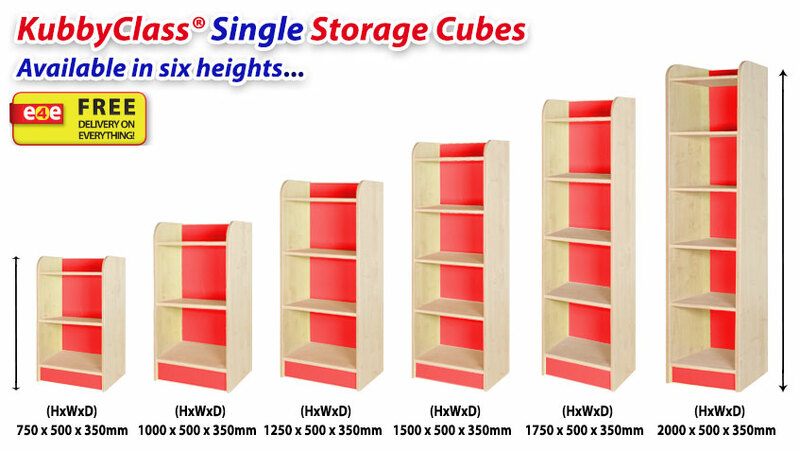  All KubbyClass® Cube Storage Units are the same heights as the KubbyClass® Library Bookcases, so these units can also be integrated into library settings to create runs or aisles. 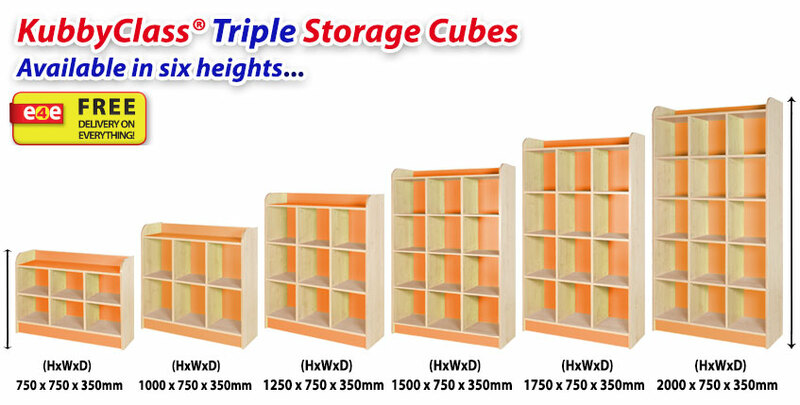  These attractive, stylish cubes will compliment any setting & make fantastic storage for all types of applications.  Available in 6 heights: 750, 1000, 1250, 1500, 1750 and 2000mm. All are 1000mm wide and 350mm deep.